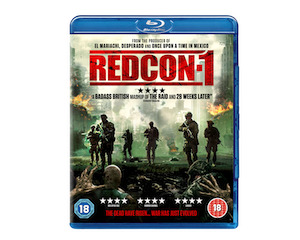 From Intense Distribution and 101 Films comes Chee Keong Cheung's Redcon-1, a horror thriller driven through with genuine relentless fight action and bristling with real military hardware, as a crack team of soldiers must battle through a zombie filled Britain in a race against time to find a cure. 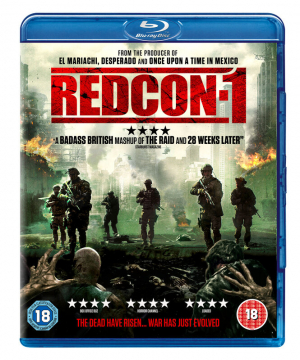 Redcon-1 is out now on VOD, DVD and Blu-ray and we are giving YOU a chance to win a copy on Blu-ray. After a zombie apocalypse spreads from a London prison, the UK is brought to its knees. The spread of the virus is temporarily contained but, without a cure, it’s only a matter of time before it breaks its boundaries and the biggest problem of all… any zombies with combat skills are now enhanced. For Movie reviews, news and articles go to the AVForums Movie Hub. To discuss or to see what other people are saying about your favourite movies and TV shows go to our Movies, TV Shows & Music Forums. This competition is open to all eligible AVForums members who are subscribed to our newsletter. Our newsletters contain summaries of the latest news and reviews, competitions, podcasts and exclusive special offers. Subscribe now. You can unsubscribe at any time by changing your preferences. For more competitions go to Competitions. You must be logged in to enter this competition.